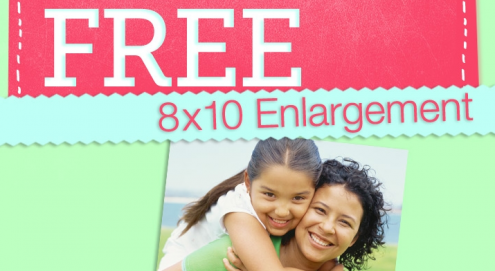 Walgreens is offering up a Free 8x10" photo enlargement today only! Just add an 8x10" to your cart and use promo code FREE4ME at checkout. Plus, make sure you select to have it sent to your local store so you avoid the shipping costs!